The autumn season is the best time to conduct a large-scale event in Crimea. The subtropical climate of the South Coast, the warm weather, no holiday rush, the prices of hotels are switched to the middle season mode. The members of the Board of the Insurance Group “TAS”, thought that way and were right. 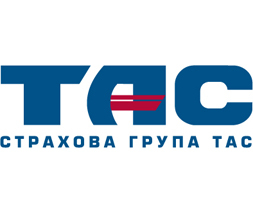 More than 400 employees from all over Ukraine traveled to Simferopol by trains, buses and planes, to the outstanding celebration of the 10th anniversary of the Insurance Group “TAS” in Yalta. Also artists, stars and the event staff rushed to Crimea, to take part in the event. Someone had postponed flights, someone was late for the train … to meet all people and deliver them to the venue was already a logistic project that required an experienced management. But this is just one of the event tasks that faced the team of the event agency PUSH-K Solutions in course of preparation for the anniversary celebration of the Insurance Group “TAS”. The three-day program of the event was structured in such a way that each day of stay in Yalta was imbue and varied: an extensive excursion program, day conferences, a welcome party Comedy Disco for the first day and a festive gala night for the next day. The concept of “10 counters of IG “TAS” is not just playing with a magical number “10” for the event occasion. But the main point is not the numbers, the main point is schtick. The Comedy Club residents formed from the group employees 10 comic duets. During the next day these 10 duets supervised by the Comedy Club prepared performances for the main festive gala night. There were no limitations in creativity, but the organizers had work pieces for standup comic miniatures. The topics of the work pieces were the peculiarities and the features of IG “TAS”. The insurers became professional artists and amazed their colleagues. The opinion that each person has the creative potential and it only needs to be enhanced confirmed once again. We also would like to tell you about the Jam session self-organized after the event at the hotel lobby. Some of the artists of the event and local musicians organized an unscheduled show for their pleasure and to the joy of the company and agency employees that accidentally happened to be there. PUSH-K Solutions expresses gratitude to the event managers who participated in this project, because it was held at a high organizational level and according to a clear plan.